A Turkish professor has said homosexuality is a "secret service plot" employed by unnamed actors against countries that are seen as a threat, news website T24 reported on Friday. "In this way, they (secret services) put an end to population increases of societies considered a threat. This is completely a secret service plot and treason. 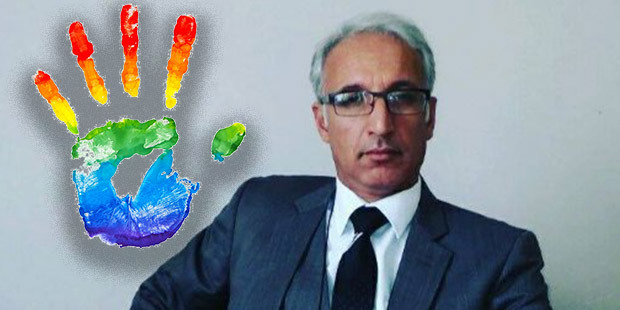 Homosexuality is forbidden in Judaism, Christianity and Islam," said Yener Özen, a professor at Binali Yıldırım University in northeastern Erzincan. Özen called homosexuality a sexual orientation that a person accepts with their own free will so it "can't be cured". He added that it disregards both Islamic law and Turkish traditions. Turkey's LGBT community has long been subjected to state harassment and widespread discrimination. Turkish officials have described homosexuality as “a disease” and rejected proposals for legal protections for LBGT citizens. Homophobic comments from prominent government officials are also frequent.